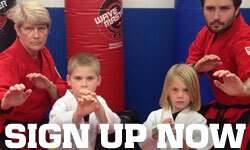 Our students love the fun and excitement of Martial Arts training and we think you or your child will too. 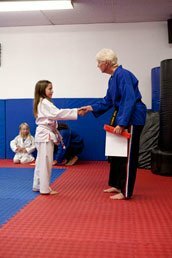 The instructors are friendly, skilled professionals who are dedicated to helping each student be their best. We work extremely well with newcomers (especially the shy ones.) 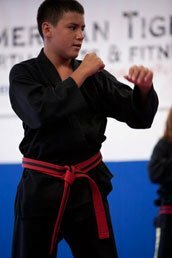 The focus, confidence, fitness improvement and self defense skills that are developed here help insure success in school, careers, relationships and every part of their lives. 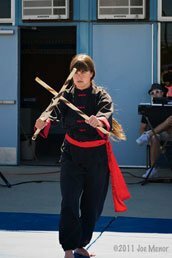 Celebrating over 20 years of Martial Arts Training! Located in Westminster, Ca. 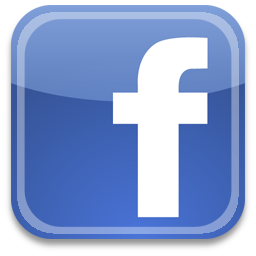 just blocks from Huntington Beach, Seal Beach, and Garden Grove. 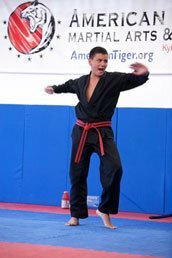 Why do people train at American Tiger Martial Arts and Fitness? 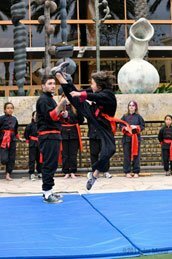 There are a lot of martial arts schools in Los Angeles and Orange County. Trying to find one that is a good fit for you or your family can seem like a daunting task. 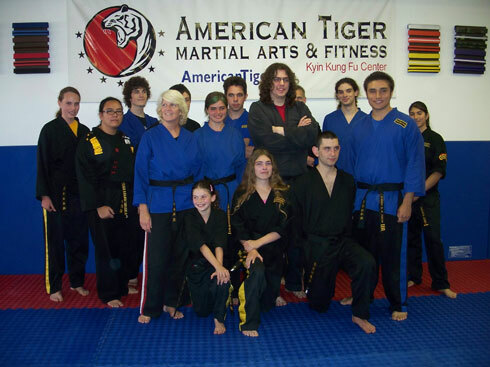 American Tiger Martial Arts & Fitness in Westminster, California is committed to your success. 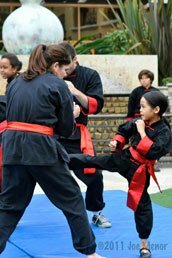 We teach the Art of Kyin Kung Fu which is a very effective self defense style that does not rely on size or strength but in practiced techniques. 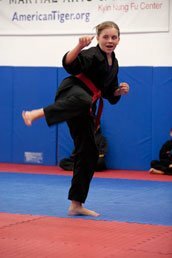 People often debate which is the best style of martial arts. We truly believe that finding great, caring instructors should be the top priority. 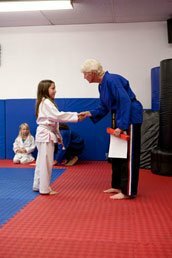 We are often told by our students and their parents, especially those that have tried other schools, that the patience, helpfulness and respect we give all our students is one of the big reasons they love training here. Shy or timid children respond well to our gentle encouragement and grow in assertiveness here. 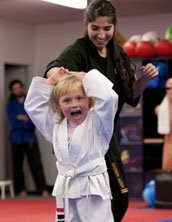 We see each student as an individual and offer friendly, enjoyable and professional instruction to help everyone reach his or her next level of skill and fitness. Confidence plays a major role in living a successful life. Our program helps our students find their place of personal power, both physical and mental. There is an amazing feeling of community at this school. Students help, encourage and care about each other in this non-competitive environment. Friendships are formed. 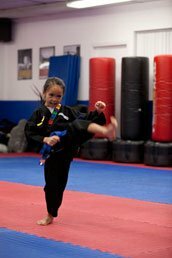 Our classes contain a nice element of fun yet each activity serves a specific purpose in enhancing skills such as focus, balance, strength, speed, power and much more. Our students enjoy coming to class! We invite you to come by and see for yourselves the quality, professionalism and caring atmosphere that we have. 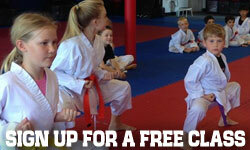 Click here to sign up for a free trial class. 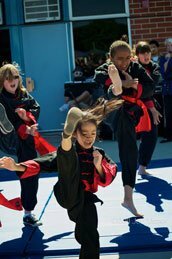 We offer the finest martial arts and fitness training in southern California with most of our students coming from Westminster, Huntington Beach, Seal Beach, Garden Grove, Long Beach and surrounding areas.